We had morning fog around the Puget Sound the last few days, delaying air traffic at Seattle-Tacoma airport at times. Fog is really a low-lying cloud with tiny droplets of water suspended in the air. And the difference between mist and fog? If visibility is reduced to less than 1,000 m (0.62 mi), it’s fog. 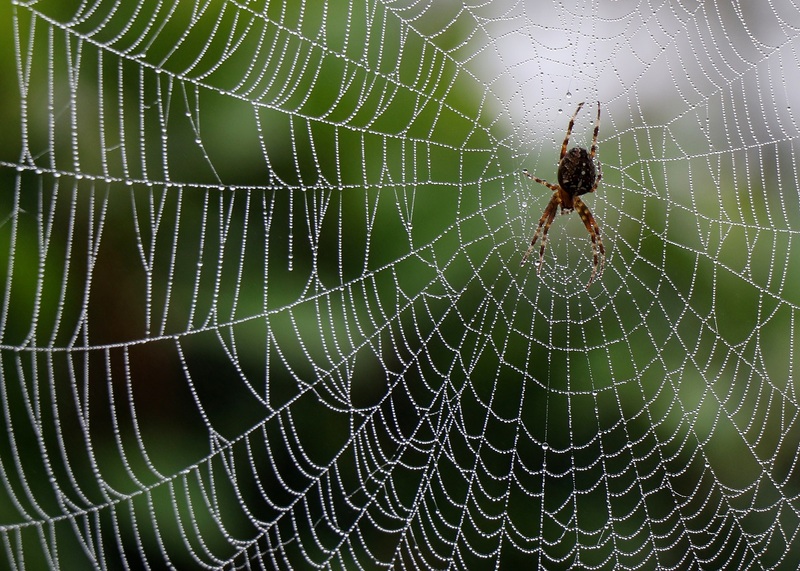 Fog made the spider’s web in my backyard into strings of tiny water pearls. Mr Spider waited patiently for the sun to come out, and with the drops gone later in the day, his booby trap had its stealth restored.